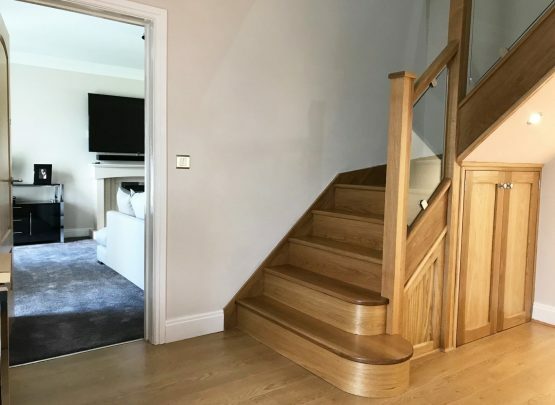 One of the biggest objectives from a redecoration is to create more space and make the room lighter, when your redecorating a hallway one of the most important things you need to change in order to create this is the staircase. 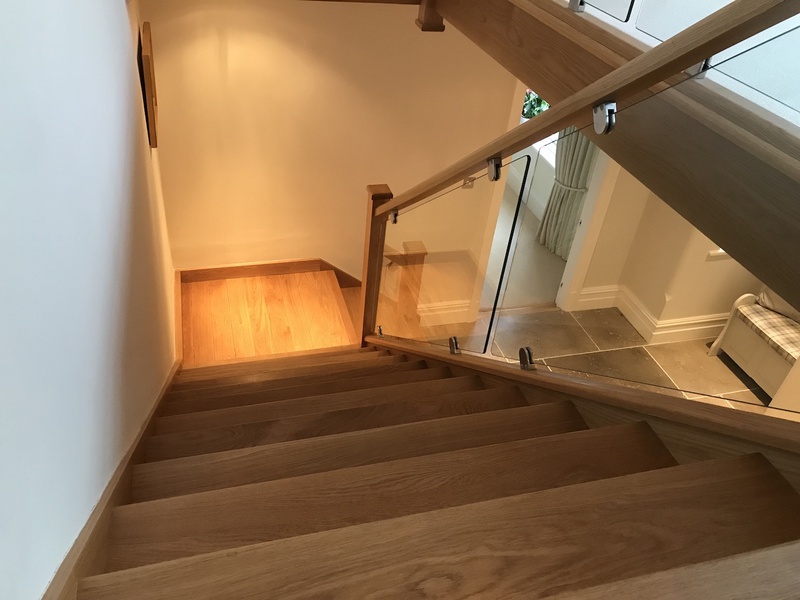 The staircase is the main integral feature in your hallway and therefor it is the key in altering the aesthetic of your hallway. 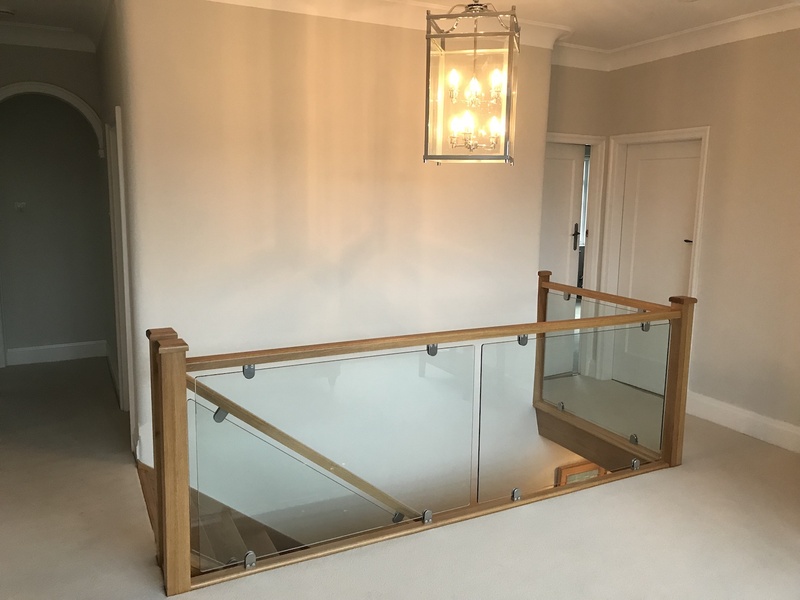 With this home, the client had a staircase that constituted of plastered stud walls for balustrade, this therefore had the effect off not letting any light pass through the stairwell making the hallway increasingly dark. 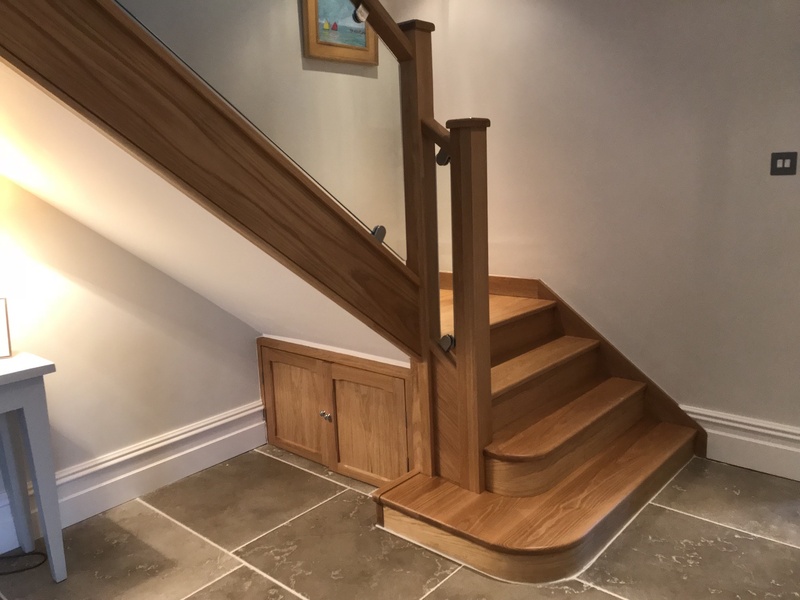 The underside of the stairs constituted of a full height cupboard, which even though was practical storage space, took up a large amount of the room in the hallway. 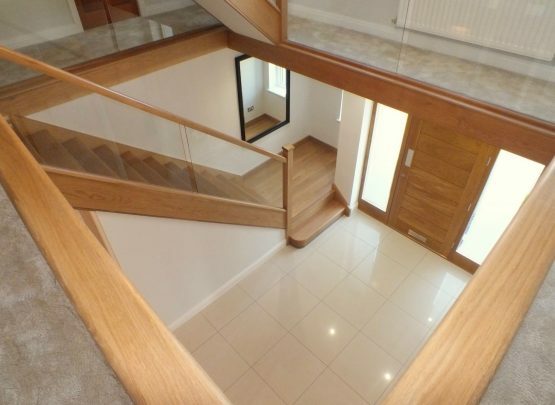 This shortage of space combined with the lack of light led to the hallway being dark, cramped and uninviting. 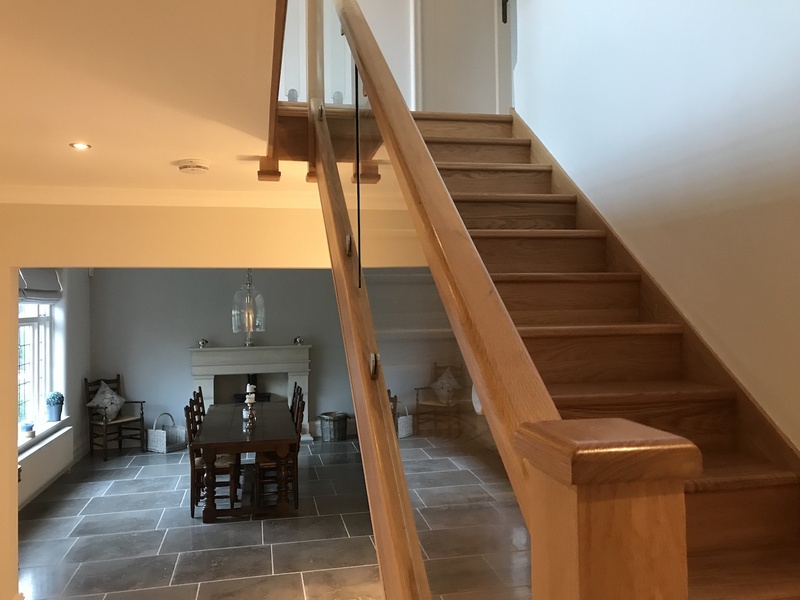 In order to improve this customers living space we removed the existing staircase and replaced it with a new oak replacement. 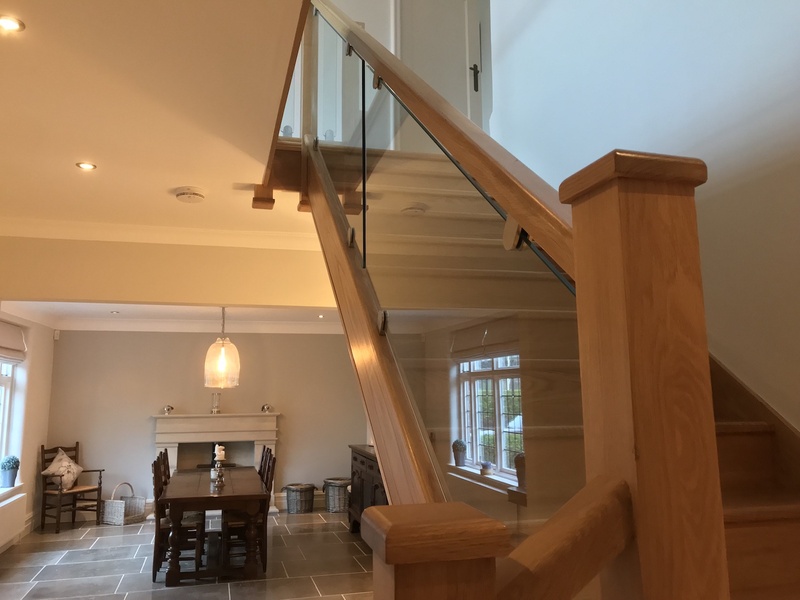 This staircase has a glass balustrade, combined with very minimal newels posts, newel capping and handrail. 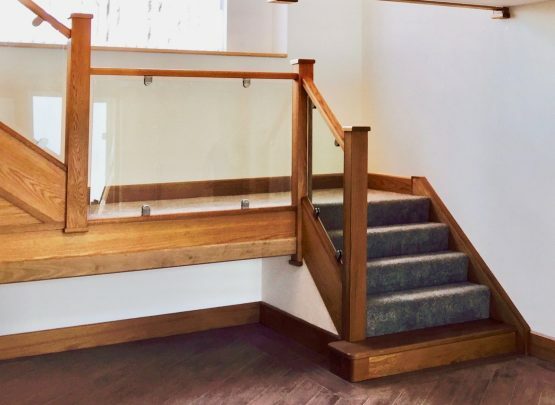 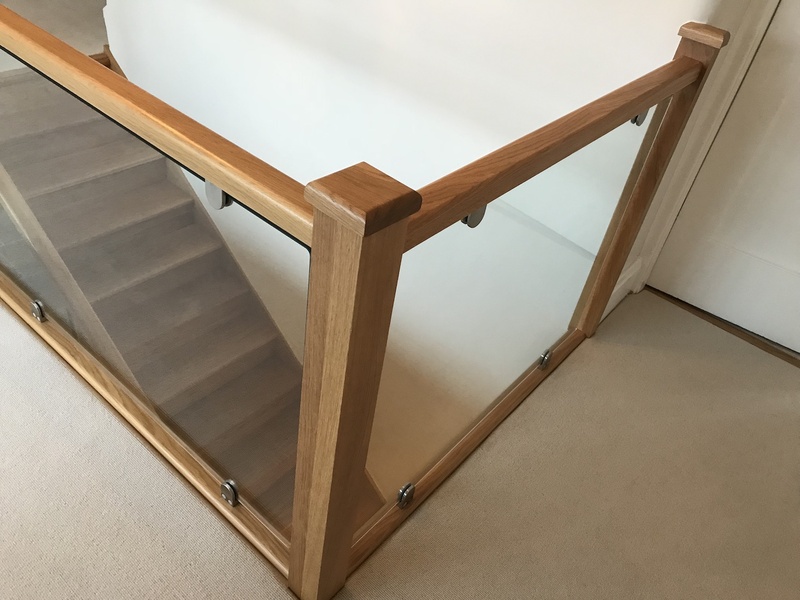 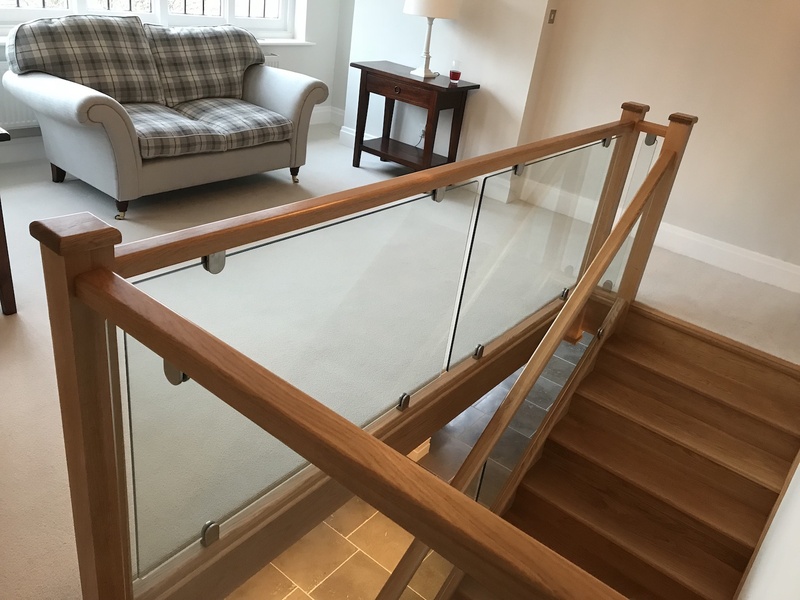 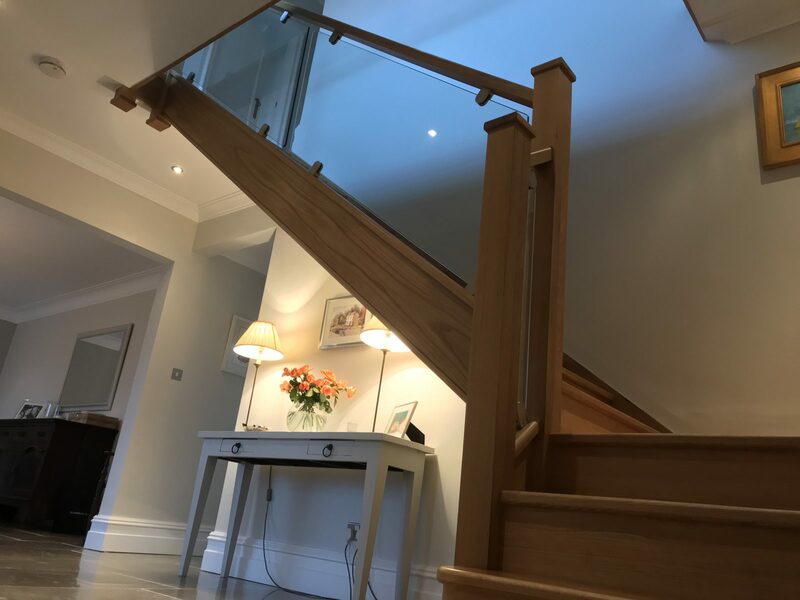 The glass balustrade has the opposite affect of the previous stud wall balustrade, allowing light to easily pass form the stair well into the hallway and vice versa. 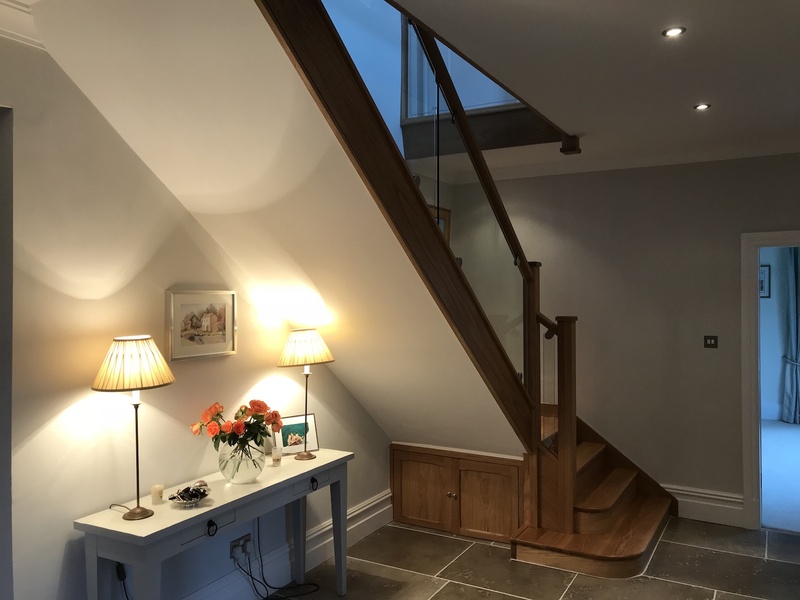 The cupboard under the stairs was also removed and in its place a smaller replacement was created, this provided the necessary storage space without the intrusion of space.